Imagine being conveniently located near downtown Wichita; imagine versatility near Kansas Turnpike, I35, and East Kellogg. Imagine minutes from Hawker Beechcraft, Cessna, Boeing/Spirit and McConnell Air Force Base. Imagine unlimited entertainment options with Towne East Square Mall, restaurants and shopping facilities at your front door. 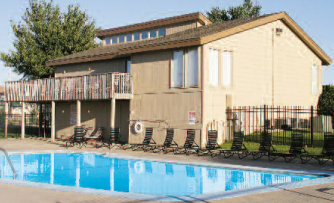 High Point East offers you all the convenience, versatility and entertainment you expect in an apartment home. The ultimate in comfortable living in a prestigious location is yours when you select High Point East. So put yourself in our place... High Point East. 1 bedroom - 756 sq. ft.
2 bedroom, 11⁄2 bath - 967 sq. 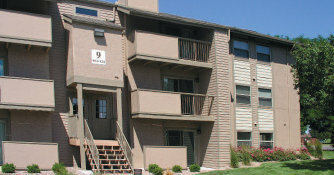 ft.
3 bedroom, 2 bath - 1,250 sq. ft.